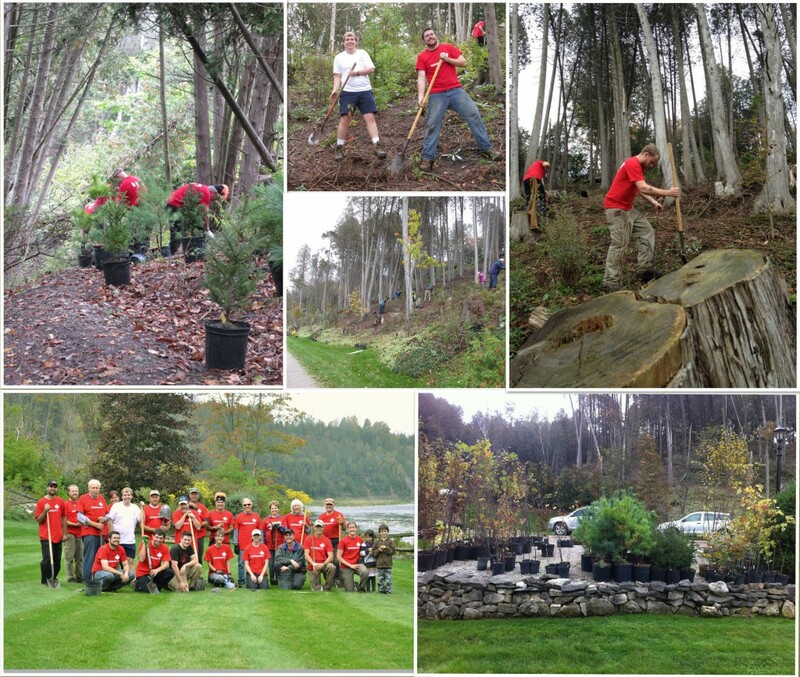 Thanks to all who joined us for fall 2013 tree planting! The forecast was touch-and-go for our volunteer tree planting event the first weekend in October, so we decided to split the tree planting into two days. 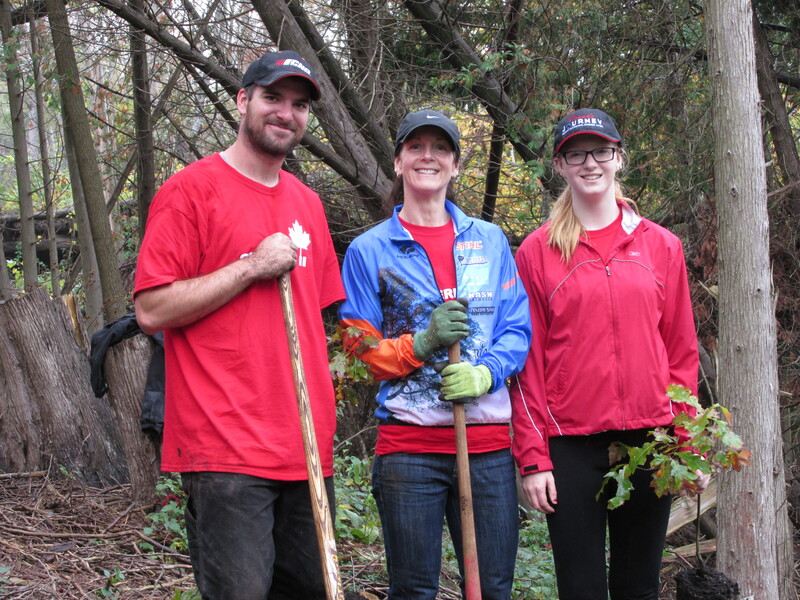 On October 5th, the Huron Stewardship Council partnered with the Canadian Tree Fund to help continue the restoration of woodlands destroyed by the 2011 tornado. First off, local volunteers met with folks from out of town in a woodlot near Benmiller where 780 potted trees were planted. Some of the volunteers were revisiting the trees they had dug into the ground the year before. With a little tender loving care from mother nature, the trees had a great growing season this year, and are looking fantastic! Next we ventured to 80296 Mill Road, near Goderich. This site is a grim reminder of how brutal nature can be! Potted stock was planted amongst the fallen trees and debris left behind after the F3 tornado. It only took about three hours for 25 volunteers to plant 280 trees on a steeply sloped woodlot. Planting these trees will help restore forest cover and prevent erosion into the Maitland River. Thank you to our friends at the Canadian Tree Fund, and the Goderich Trees Project for all their hard work!